So very sorry to hear about this sad news. My thoughts are with her family. It`s awful when we lose a pet. They are part of the family. Nightie, night, Patch, sleep tight, and have fun at the bridge with the other "Rainbow felines" who are waiting to play. RIP+ God bless x A~~~Candle~~~burns for you Patch. Run free (HUG) X. One day when the time is right, you will meet Patch at the bridge, and she will show you the way. Forever together. Now with loving Angels. Look down on your family Patch, who need your strength at this very sad time for them. 2019-02-23 14:40 DogLostHelen - Regional Co-ordinator East Anglia. Please follow ALL the advice on Peanuts post. His page no. is 140200. Paws xd. 2019-02-07 10:06 DogLostHelen - Regional Co-ordinator East Anglia. 2019-02-07 09:48 DogLostHelen - Regional Co-ordinator East Anglia. Alerts sent to helpers in NR32,33. 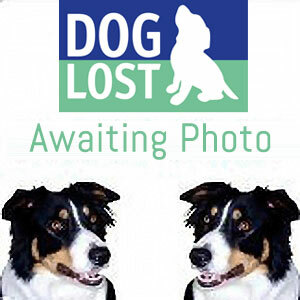 2019-02-07 09:32 DogLostHelen - Regional Co-ordinator East Anglia. Patch escaped from the cat carrier outside Pakefield Vets on Saturday morning/lunchtime and hasn't been seen since. She is quite a nervous country cat, not used to roads or traffic and other people - she has very distinctive markings.